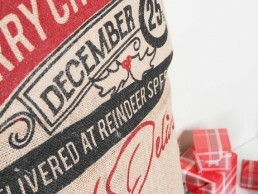 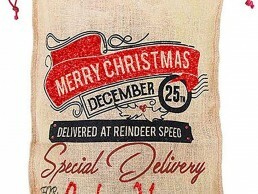 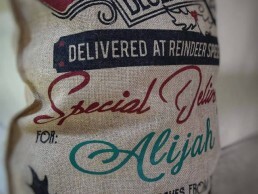 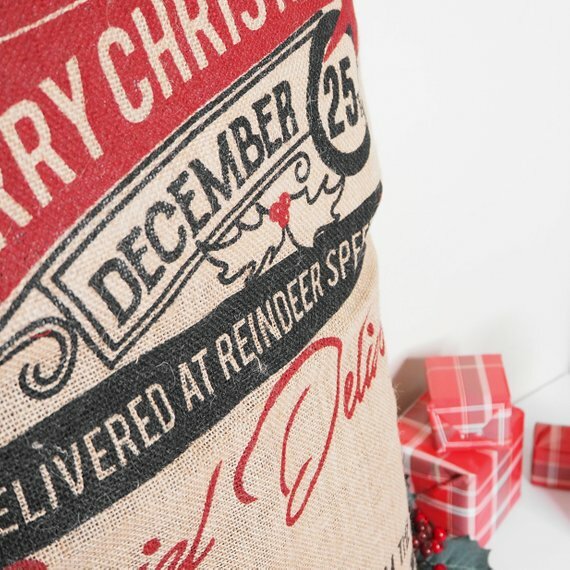 Our beautifully designed Christmas sack features a bright and bold festive design, giving it a unique look that appeals to all ages. 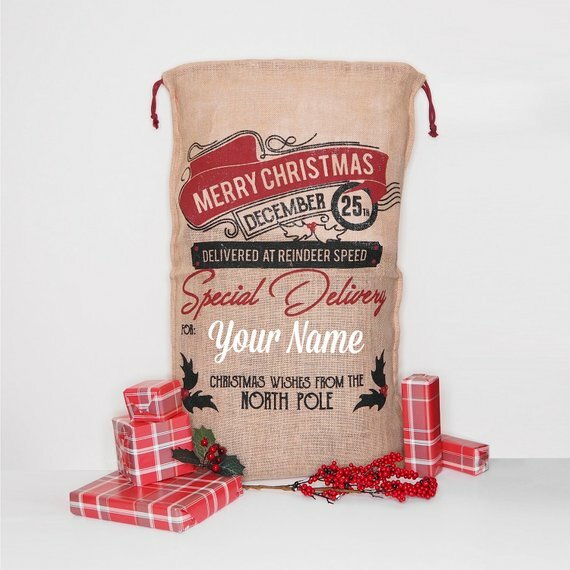 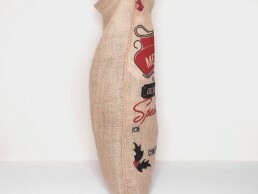 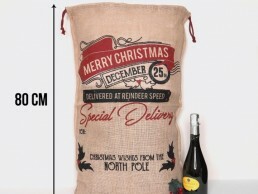 This large Santa sack (which holds more gifts than a traditional Christmas stocking) provides the perfect solution for presenting your seasonal gifts to a loved one, which can be used year after year! 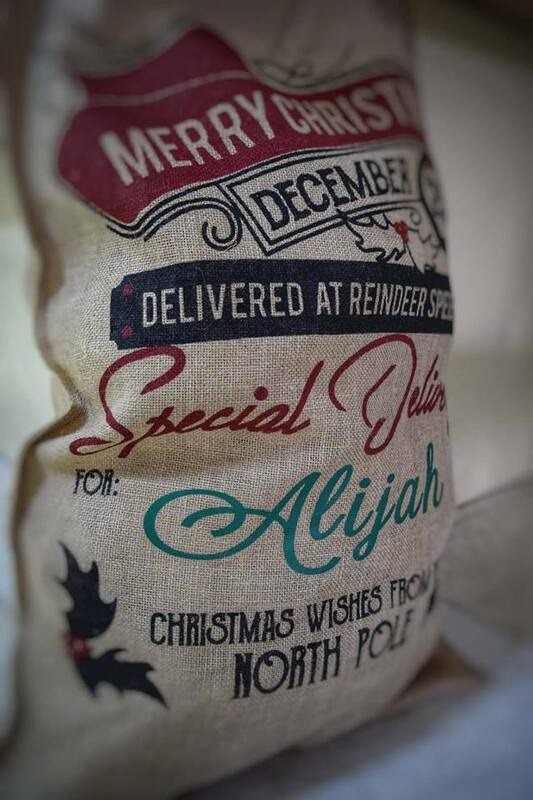 The design is to be combined with your chosen personalised name and is suitable for all ages. 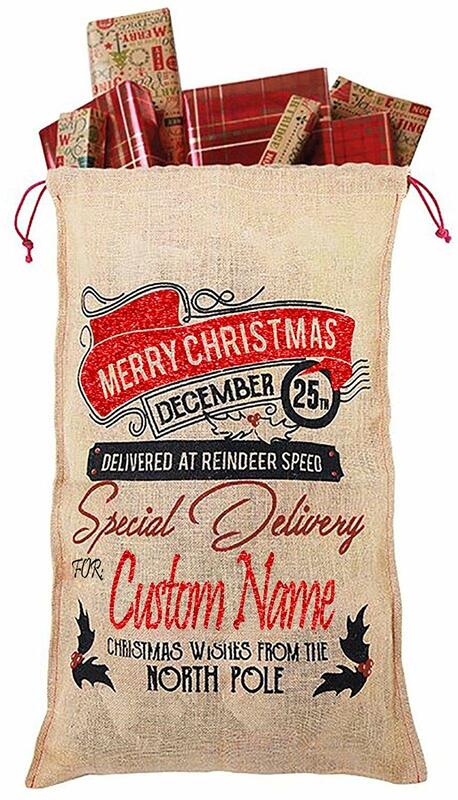 Please ensure that you have typed the correct information as we cannot exchange personalised products. 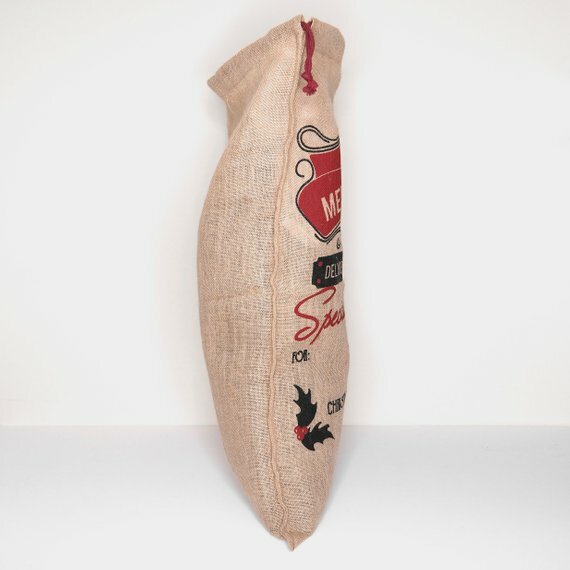 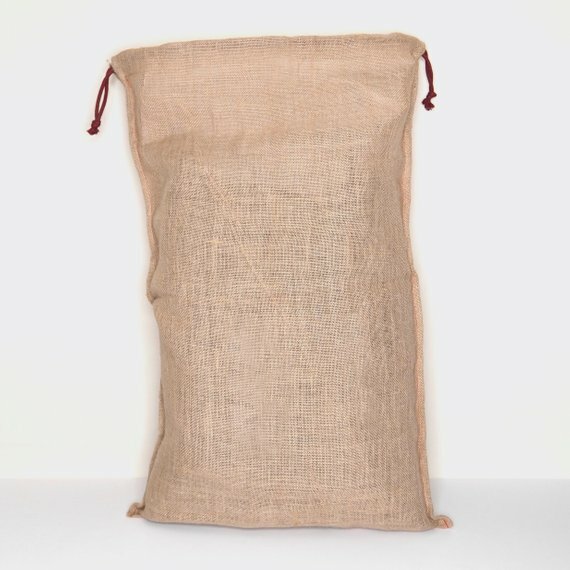 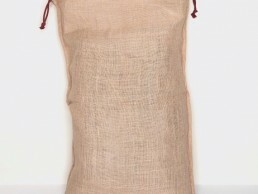 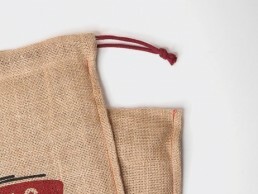 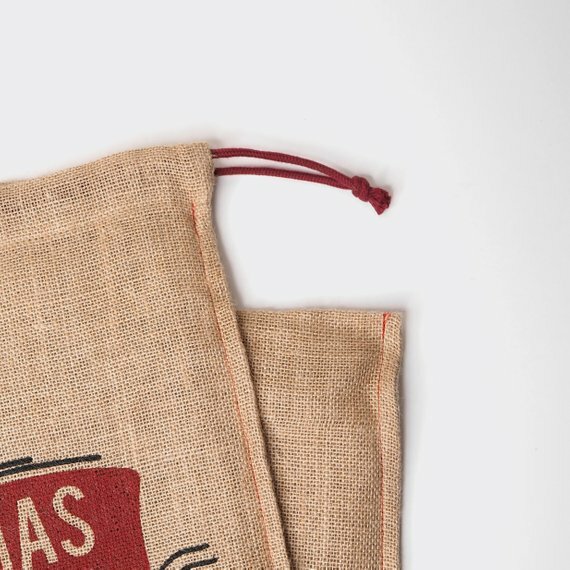 The sack has a double drawstring – ideal for easy opening and closing. 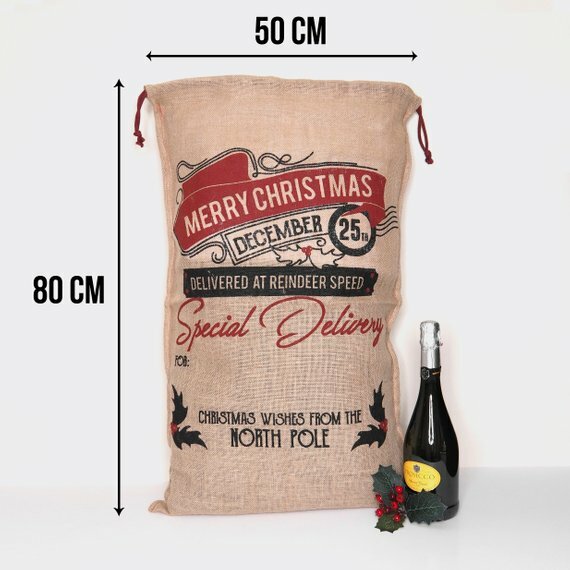 Height – 80cms, width – 50cms.